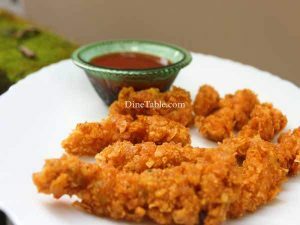 Cornflakes Coated Chicken Fingers is a quick, spicy and delicious evening snack that can be prepared very easily. This is an absolute treat for the chicken lovers. 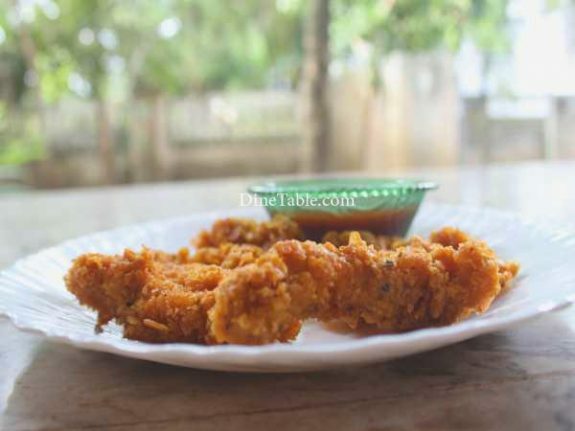 Try out this crunchy, crispy chicken stripes at home. Chicken is one of the highest protein suppliers. Protein plays an important role in our diet. 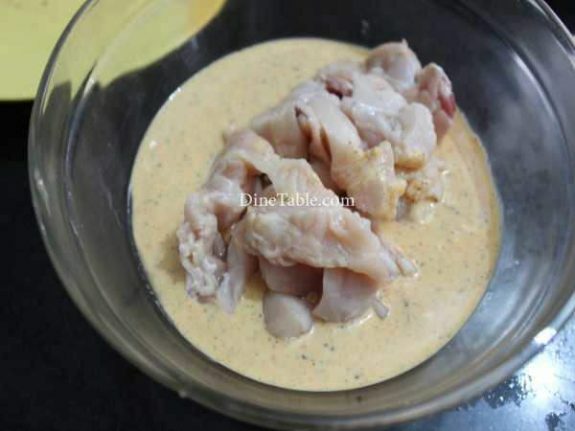 It is made of amino acids, which are the building blocks of our muscle.Chicken is not only a good source of protein but is also very rich in vitamins and minerals. For example, vitamin B are useful in preventing cataracts and skin disorders, boosting immunity, eliminating weakness, regulating digestion, and improving the nervous system, as well as preventing migraine, heart disorders, gray hair, high cholesterol, and diabetes. 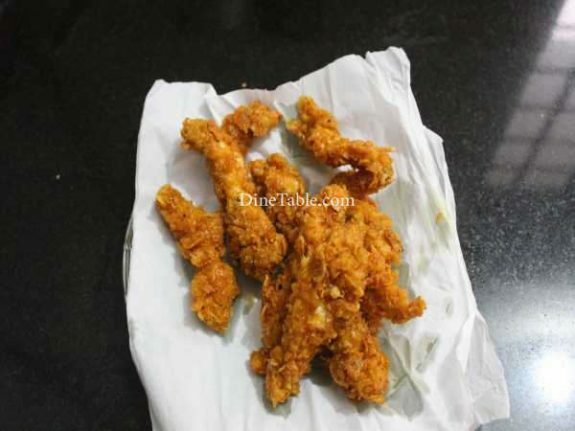 Clean and cut the chicken into strips. 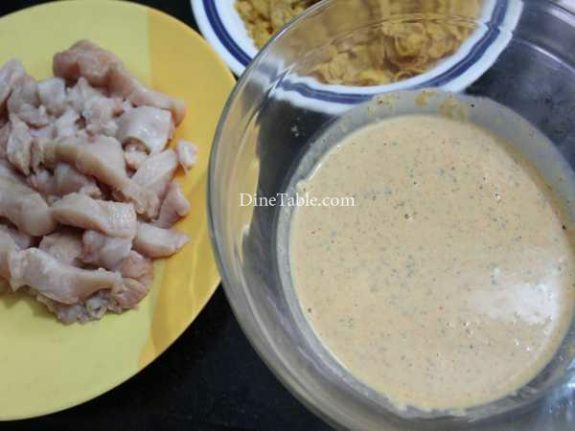 Take a bowl and add cornflour, maida, pepper powder, ginger garlic paste, red chilly powder, turmeric powder, oregano, milk, egg, sugar, salt and make it into a paste. Marinate the chicken strips with this paste and keep aside for 30 minutes. 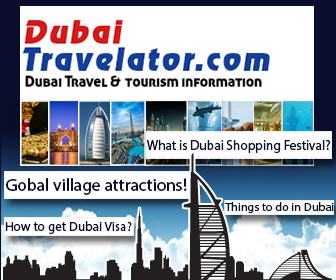 Add the cornflakes inside a zip lock bag and roll it using a rolling pin. Put this cornflakes in a plate and keep aside. 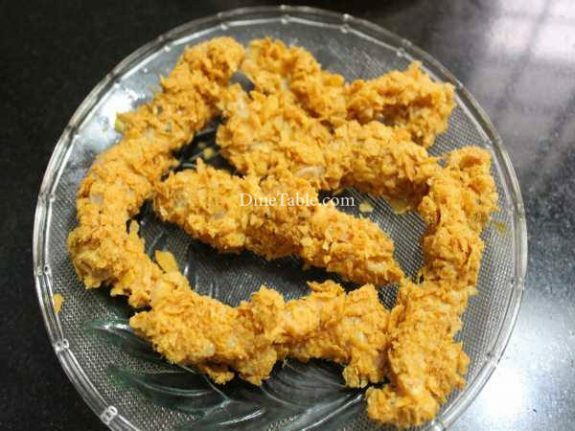 Take the chicken strips one by one and roll them over the cornflakes. 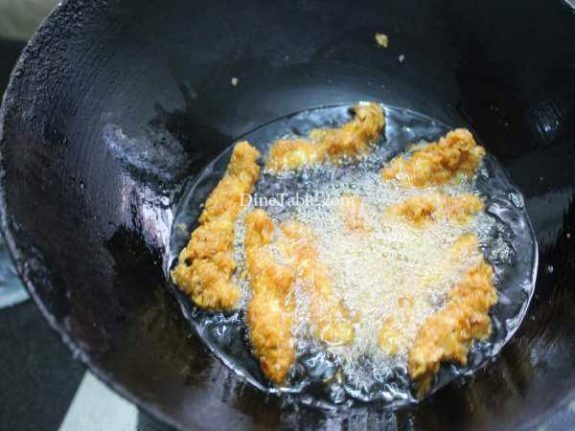 Heat vegetable oil in a pan and fry the chicken strips until golden brown and crispy. Switch off the flame. 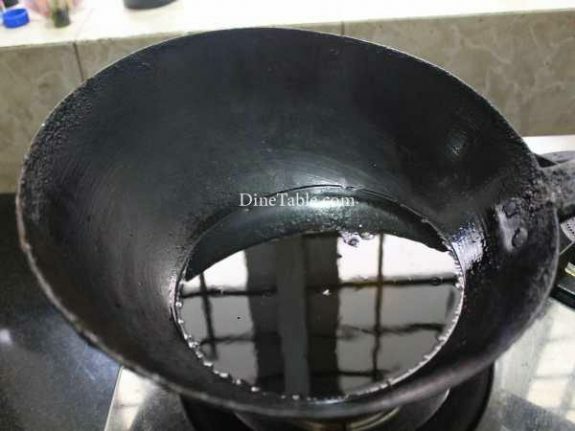 Drain the excess oil with a tissue paper. 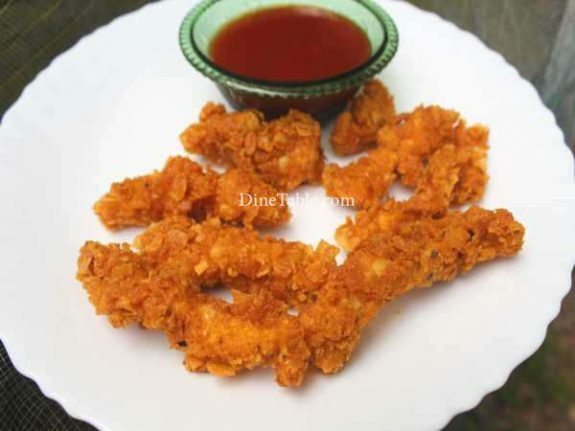 Tasty Cornflakes Coated Chicken Fingers s ready. 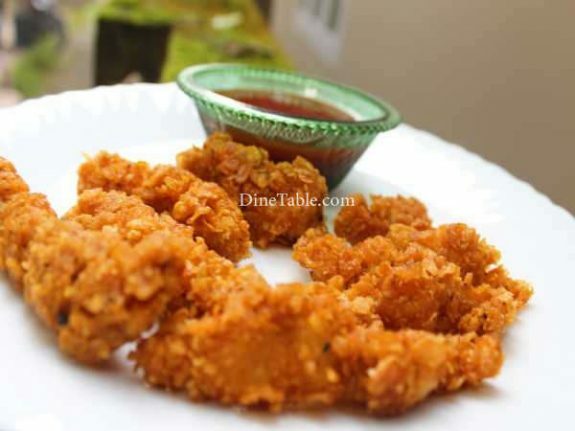 Serve with tomato ketch up or any dipping sauce.